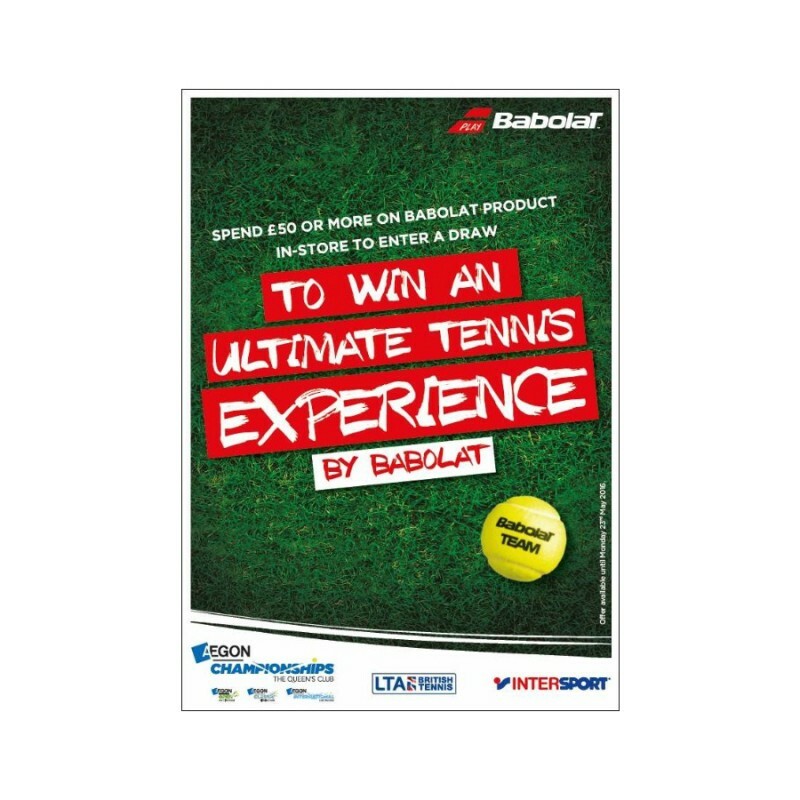 Babolat Ultimate Tennis Experience – spend £50 or more in-store only on Babolat products, and be entered into a draw for free tickets to the Aegon tennis championships at Queens Club this June. This fantastic prize includes a FAMILY TICKET for Centre Court – a behind the scenes tour of the event and lunch and hospitality with the Babolat team. This offer is unique to INTERSPORT members only. So visit us at Pure Racket Sport in Farnham, Surrey – open 7 days a week, until the end of May, for a chance to win. We have a huge selection of Babolat Tennis and Badminton, rackets, shoes, clothing and accessories . With more choice on offer than you can see on this website. This entry was posted in Badminton, News, Tennis. Bookmark the permalink.